Carbohydrates are the body's preferred fuel. 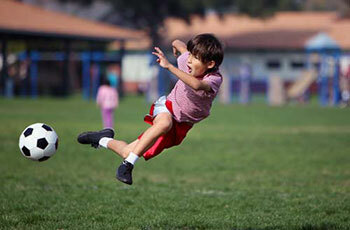 The important function of carbohydrates is to provide the body and brain with energy. Simply put, the car needs fuel to run; likewise, without carbohydrates, your body will not have the fuel it requires to support your daily mental and physical activities. Of course, our body doesn't run on gasoline - it runs on carbohydrates. 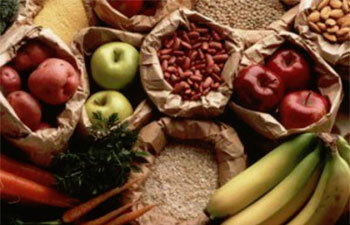 Carbohydrates, found in many foods like grains, fruits, beans, milk products and vegetables. After we enjoy a meal, the carbohydrates from the foods we consumed are broken down into smaller units of sugar. Both complex and simple carbohydrates are broken down in digestion to glucose molecules, which are absorbed into cells and burned as a power source. These small units get absorbed out of our digestive tract and into our bloodstream. This blood sugar, or blood glucose, is transported through our bloodstream to supply energy to our muscles and other tissues. This is an important process; in fact, we could say that of the different functions of carbohydrates, supplying energy to the body is the main role. Carbohydrates contain soluble and insoluble elements; the insoluble part is known a fiber, which promotes regular bowel movement, regulates the rate of consumption of blood glucose, and helps to remove excess cholesterol from the body. Foods containing fiber can provide other health benefits as well, such as helping to maintain a healthy weight and lowering your risk of diabetes and heart disease. As an immediate source of energy, glucose is broken down during the process of cellular respiration, which produces ATP, the energy currency of the cell. Carbohydrates are the most abundant class of organic compounds found in living organisms. They originate as products of photosynthesis, an endothermic reductive condensation of carbon dioxide requiring light energy and the pigment chlorophyll. Carbohydrates include both sugars and the polymers of sugars. Carbohydrates are classified according to their behavior on hydrolysis. Monosaccharides cannot be broken into smaller units on hydrolysis. Disaccharides produce two monosaccharides upon hydrolysis. Polysaccharides yield large number of monosaccharides on hydrolysis. The carbohydrates that are macromolecules are polysaccharides, polymers composed of many sugar building blocks. The general chemical formula of unmodified monosaccharide is (CH2O)n, where ‘n’ is any number of three or greater. There are twenty monosaccharides that occur naturally, of which glucose is the most common monosaccharide. Monosaccharides (from the Greek monos - single, and sacchar - sugar) are the simplest carbohydrates in that they cannot be hydrolyzed to smaller carbohydrates. Glucose (C6H12O6), the most common monosaccharide, is of central importance in the chemistry of life. The molecule has a carbonyl group (=C=O) and multiple hydroxyl groups ( − OH). Depending on the location of the carbonyl group, a sugar is either an aldose (aldehyde sugar) or a ketose (ketone sugar). 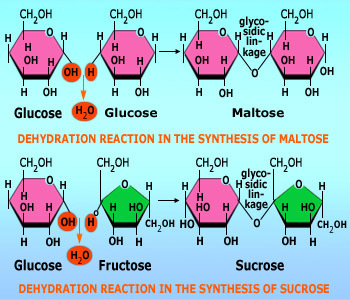 Glucose for example, is an aldose; fructose, a structural isomer of glucose is a ketose. Another criterion for classifying sugars is the size of the carbon skeleton, which ranges from three to seven carbons long. Glucose, fructose, and other sugars that have six carbons are called hexoses. Trioses and pentoses are also common. Another source of diversity for simple sugars is in the spatial arrangement of their parts around asymmetric carbons. Glucose and galactose, for example, differ only in the placement of parts around one asymmetric carbon. 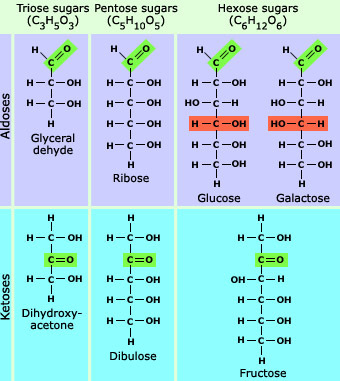 Sugars may be aldoses (aldehyde sugars, top row) or ketoses (ketone sugars, bottom row), depending on the location of the carbonyl group (represented in green). Sugars are also classified according to the length of their carbon skeletons. A third point of variation is the spatial arrangement around asymmetric carbons (compare, for example, the orange portions of glucose and galactose). Monosaccharides, particularly glucose, are major nutrients for cells. Monosaccharides are the major source of fuel for metabolism, being used both as an energy source (glucose being the most important in nature) and in biosynthesis. In the process known as cellular respiration, cells extract the energy stored in glucose molecules. Not only are simple sugar molecules a major fuel for cellular work, but their carbon skeletons serve as raw material for the synthesis of other types of small organic molecules, such as amino acids and fatty acids. When monosaccharides are not needed by cells they are quickly converted into another form, such as disaccharides or polysaccharides. Disaccharides are compounds of two sugar groups. For example sucrose, which is a compound of fructose and glucose. Other examples of disaccharides include lactose and maltose. Two joined monosaccharides are called disaccharides and represent the simplest polysaccharides. Ex: sucrose, maltose and lactose. Disaccharides are composed of two monosaccharide units bound together by a covalent bond known as a glycosidic linkage formed by a dehydration reaction, resulting in the loss of a hydrogen atom from one monosaccharide and a hydroxyl group from the other. For example, maltose is a disaccharide formed by the linking of two molecules of glucose. The glycosidic link joins the number 1 carbon of one glucose to the number 4 carbon of the second glucose. Joining the glucose monomers in a different way would result in a different disaccharide. The most common disaccharide is sucrose, also known as table sugar. Its two monomers are D−glucose and D−fructose. Fructose, though a hexose like glucose, forms a five sided ring. Plants generally transport carbohydrates from leaves to roots and other non−photosynthetic organs in the form of sucrose. Lactose, is another disaccharide composed of one D−galactose molecule and one D−glucose molecule and it occurs naturally in milk. Glycogen is a storage polysaccharide that is found in animals and is composed of a branched chain of glucose residues. Glycogen’s properties allow it to be metabolized more quickly, which suits the active lives of locomotive animals. It is stored in liver and muscle cells. Hydrolysis of glycogen in these cells release glucose when the demand for sugar increases. Any glucose in excess of the needs for energy and storage as glycogen is converted to fat. Polysaccharides are polymers composed of longer chains of monosaccharide units (few hundred to a few thousand) bound together by glycosidic bonds. Polysaccharides represent an important class of biological polymers. Some polysaccharides serve as storage material, hydrolyzed as needed to provide sugar for cells. Other polysaccharides serve as building material for structures that protect the cell or whole organism. The architecture and function of a polysaccharide is determined by its sugar monomers and by the positions of its glycosidic linkages. Storage Polysaccharides: Starch is used as a storage polysaccharide in plants, being found in the form of glucose monomers namely amylose and the branched amylopectin. Plants store starch as granules within cellular structures called plastids, which include chloroplasts. Synthesizing starch enables the plant to stockpile surplus glucose. Because glucose is a major cellular fuel, starch represents stored energy. Starches are insoluble in water. They can be digested by hydrolysis and catalyzed by enzymes called amylases, which can break the glycosidic bonds. Humans and other animals have amylases that can hydrolyze plant starch, making glucose available as a nutrient for cells. Potato, rice, wheat, and corn are major sources of starch in the human diet. Polysaccharides are polymeric carbohydrate structures, formed of repeating units (either mono- or di-saccharides) joined together by glycosidic bonds. Organisms build strong materials from structural polysaccharides. For example, the polysaccharide called cellulose is a major component of the tough walls that enclose plant cells. Wood is largely cellulose and lignin, while paper and cotton are nearly pure cellulose. Like starch, cellulose is a polymer of glucose, but the glycosidic linkages in these two polymers differ. Cellulose is a polymer made with repeated glucose units bonded together by beta−linkages. 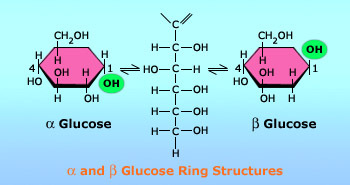 The difference is based on the fact that there are actually two slightly different ring structures for glucose. When glucose forms a ring, the hydroxyl group attached to the number 1 carbon is positioned either below or above the plane of the ring. These two ring forms for glucose are called alpha (α) and beta (β), respectively. 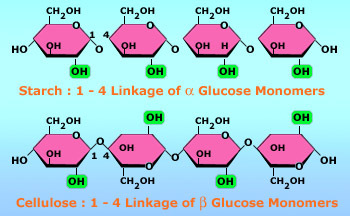 In starch, all the glucose monomers are in the a configuration. In contrast, the glucose monomers of cellulose are all in the β configuration, making every other glucose monomer upside down with respect to its neighbors. 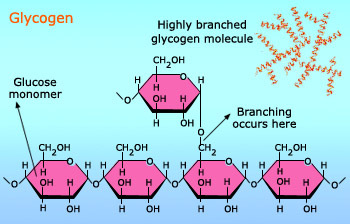 The differing glycosidic linkages in starch and cellulose give the two molecules distinct three−dimensional shapes. Cellulose is a linear polymer where as a starch is a helical polymer. Humans and many other animals lack an enzyme to break the beta−linkages, so they do not digest cellulose. Certain animals can digest cellulose, because bacteria possessing the enzyme are present in their gut. The classic example is the termite. Chitin is used to make a strong and flexible surgical thread that decomposes after the wound or incision heals. Chitin is also an important structural polysaccharide. It is the main component of the cell walls of fungi, the exoskeletons of arthropods, such as crustaceans (like the crab, lobster and shrimp) and insects, including ants, beetles and butterflies. An exoskeleton is a hard case that surrounds the soft parts of an animal. Pure chitin is leathery, but it becomes hardened when encrusted with calcium carbonate, a salt. Chitin is similar to cellulose, except that the glucose monomer of chitin has a nitrogen−containing appendage. Chitin has also proven useful for several medical and industrial purposes. Chitin is used in water purification, and as an additive to thicken and stabilize foods and pharmaceuticals. It also acts as a binder in dyes, fabrics and adhesives. Processes to size and strengthen paper employ chitin. 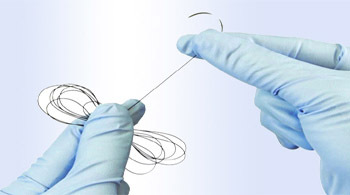 Chitin's properties as a flexible and strong material make it favorable as surgical thread. Its biodegradability makes it decompose after the wound or incision heals.